S.M. 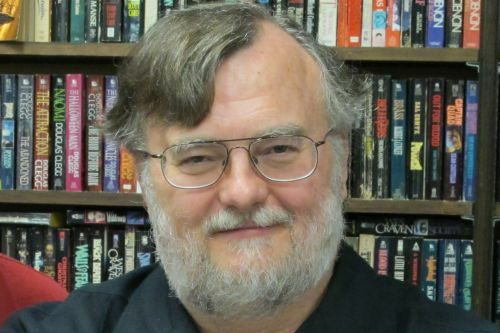 Stirling is a Canadian-American author of science fiction, fantasy and alternate history novels. He writes The Fifth Millennium, Draka, Raj Whitehall, The Change and several other series. He has also written for series he didn’t create, such as Terminator 2, The Ship Who Sang, Riftwar and others. His books focus on military-based cultures, cultural values, technology and strong female characters. Notes: The Sharpest Edge, The Cage and Saber and Shadow were co-authored by Shirley Meier. Shadow’s Son was co-authored by Shirley Meier and Karen Wehrstein. The Raj Whitehall series is co-authored with David Drake. The Falkenberg’s Legion series is co-authored with Jerry Pournelle. The Flight Engineer series was co-authored with James Doohan. Jimmy the Hand was written with Raymond E. Feist. Exiled was co-authored with Jody Lynn Nye, John Ringo and Harry Turtledove. The collection Lest Darkness Fall and Related Stories also contains stories by L. Sprague de Camp, David Drake and Frederik Pohl. The War World books are co-authored by Susan Shwartz, Judith Tarr and Harry Turtledove. The Brainship series was co-authored with Anne McCaffrey. The Houses of the Kzinti was co-authored with Dean Ing and Jerry Pournelle. The anthology Fantastic World War II was co-edited with Frank D. McSherry. The General series is co-authored with David Drake.